Henry Edward Fox was the eldest legitimate child of the 3rd Baron Holland and his wife, Elizabeth Vassal. In 1823 Fox moved to the continent, where he remained for most of his life. Fox joined the Diplomatic Service in 1831, and held various posts including secretary of Legation in Sardinia, secretary of Embassy in Austria, minister to the German confederation, and minister to Tuscany. 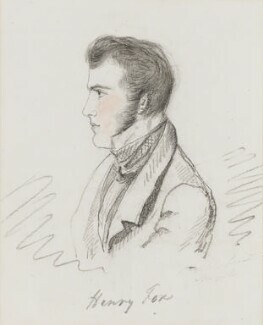 In 1833, he married Lady Mary Augusta Coventry, daughter of the 8th Earl of Coventry; although the marriage produced no children, they had an adopted daughter, Marie Fox, who later became Princess Liechtenstein.